Do you want to know the formula for success? It is great idea + having the skills to pull it off = success. Of course there are good ideas and poor ideas. There are people who are highly skilled and there are people with lesser skills. Let’s look at all of the possible combinations. Quadrant I – This is where the magic happens. Here is a Great Idea: Imagine a person has a great idea to create teleportation tunnels to make a trip to New York to L.A. in five minutes. Great Skills: Imagine this person had the knowledge and skills to make this a reality. If so – it will be a success! Quadrant II – Here is a Great Idea: Imagine if a person has the idea to make all energy free (using solar sun waves). Great idea, but this person doesn’t have the skills to make it possible. This person may produce something mediocre. It won’t be the success as it would be if this person had the knowledge and skills to make is possible. Quadrant III – Here is a poor idea: Create a restaurant on a street that has five other restaurants that are struggling to stay in business. One of those restaurants may already be out of business. It appears to be a poor idea. And let’s imagine the person who peruses this business lacks the skills and knowledge to run a restaurant. This is probably going to be a disaster. Quadrant IV – This is a poor idea: Open up a new fax machine service (in the digital age when everything is emailed). Let’s imagine this person is a highly skilled fax machine designer who can create the best fax machine possible. Despite the great skills, the idea isn’t great and the results will probably be fruitless. Part 1: Think better ideas. The creative process can be fun to sit around and day dream many interesting ideas. You could probably come up with a list of 25 or even 100 wonderful ideas. You can then decide which of these ideas would be poor and which ones would be great. Part 2: Improving skills and knowledge: This variable can change. You can definitely read and learn to grow skills in any area. You’ll probably find it easier to learn something that you’re already interested in learning about. In example: I [Danny Pettry] enjoy learning about psychology. I can read psychology books easily. I don’t enjoy copy machine repair. I’d struggle to read a guide on how to fix a copy machine. I can barely fix a paper jam. If I want to write a novel (fun idea) then I’ll need to study and learn everything I possibly can about novels, writing, publishing, and creating a best-seller. Find you creative idea. Make it a great one. Go to work on getting better in that focus area. Learn all you can. Make your idea a reality. All great things were first mere “Ideas” in someone’s head. Someone had to imagine the Golden Gate Bridge, the Statue of Liberty, A democracy government, Neflix, Disneyland, automobiles, the internet, Krispy Kreme doughnuts, Online Rec Therapy CEUs. They were great ideas. And people had to have the knowledge and skills to make these things a reality that we now see in the world. What is your creative idea? Think Big. What skills do you already have? How you can improve your skills. how can you gain help? What are you going to bring into the world? Danny Pettry encouragement: you only live one (YOLO). What do you want to bring into reality with your time here? Make it happen captain. Danny Pettry’s example to inspire you: There weren’t any online self-study CEU courses that were geared towards Recreational Therapists back in 2006. 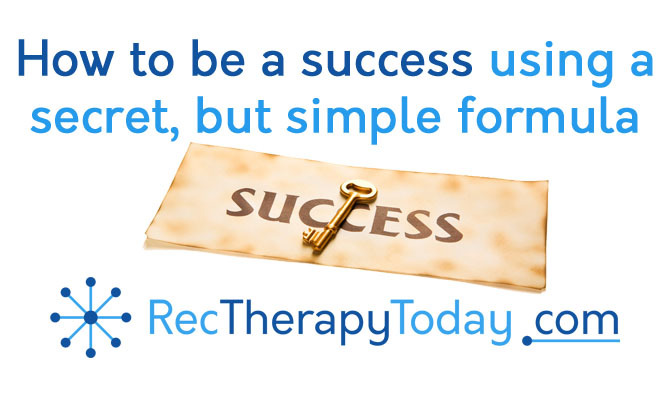 My mentor, Charlie Dixon (of the Therapeutic Recreation Directory Online) told me, think of something (an idea) that isn’t already at (the TR Directory) and do that. I got the idea to create online courses from a mix of elements. Did I have the skills? I had completed a master’s degree in recreational therapy in 2006. I felt having a master’s degree prepared me to be a course instructor. The idea was great and I had the skills to be a trainer and provider. Thank you for reading. Thank you for being a friend. And go for your dreams and passions. Great article Danny. I enjoy how you write! I enjoy your messages.. always interesting and inspiring..